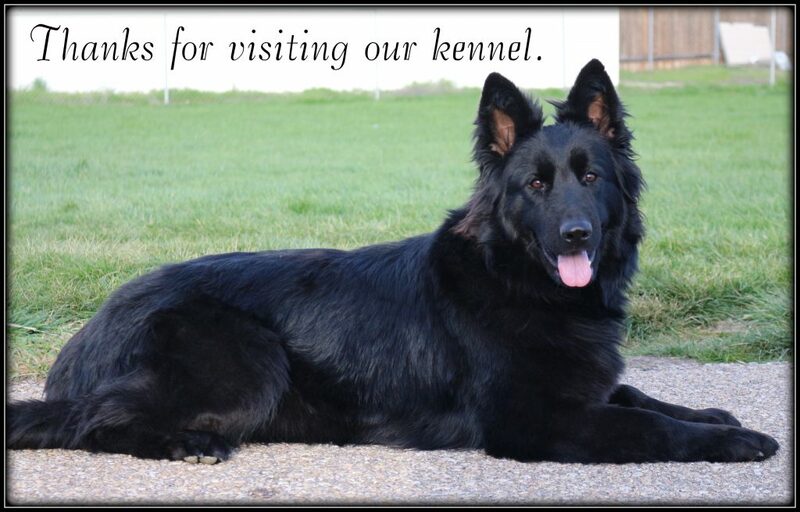 We are a small family run kennel that is committed to raising quality long coated German Shepherds. Our main goal and priority is to provide that perfect family pet. We do not raise high drive, high maintenance dogs as we don’t think they make the best family pets. We have only import or import lines dogs as we feel that they are a true representation of what the breed was created for. 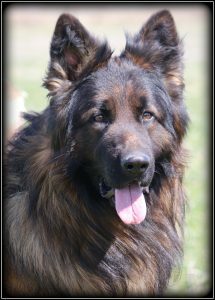 The SV (German) standard is considerably different than the AKC German Shepherd standard and since this breed was developed in Germany we feel that is the correct one to follow. 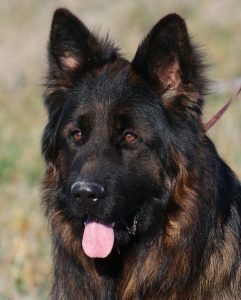 Our dogs do not have the angulation that you see in much of the American bred lines. They also have a much blockier head and body build. European lines also tend to also have that richer color that we love here at Hennehaus Shepherds. 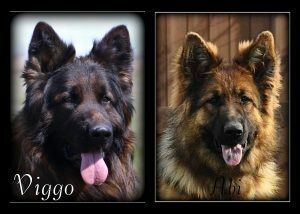 We only raise the long coated GSD’s here as well. We prefer that to the short coat because they don’t shed as much and their hair coat texture is much softer and silkier. We also have some dog allergies in our family and we do not see as much of a problem with that with the long coated shepherds. We do not make any claims that they are hypo allergenic by any means but we do find that they do not cause the reaction of short coated dogs. 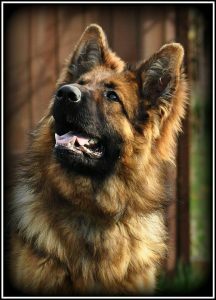 We do breed dogs that have that lower drive and that can still excel as family pets, therapy dogs, SAR dogs and great obedience prospects. We like to raise a dog that is easy enough for that first time shepherd owner to handle and one that does not require a dominant hand. 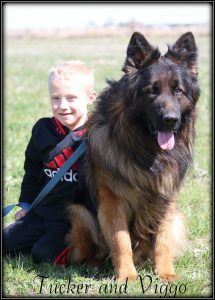 Our dogs are easily managed by young children and do not tend to overly test boundaries. We do still recommend that every puppy is taken to training and we firmly believe that you will get back exactly what you put into them. 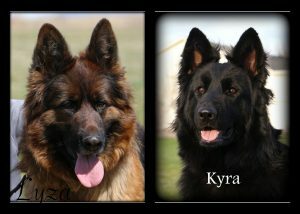 One of our main goals is to provide dogs that can also do what the breed was originally bred for and that is herding. Although many people in today’s world view them as “police” or “protection” dogs they were not initially bred for that at all. They were bred to be the perfect livestock guardian and protector. They were the all-around livestock dog that would not only help to herd and gather but were also strong enough tempered to protect. We do buy dogs from SchH titled parents but for our kennel the most important thing is that these dogs have the natural ability to do what they were bred for and herd. We firmly believe in early socialization and we have 3 kids in our household that help us with that as well as nieces and nephews to insure that your new family member gets the best start possible. Your puppy will come well kid socialized and will be accustomed to other dogs and cats. Every Hennehaus puppy will go home with at least 1 shot, 1 worming and a vet check in addition to the full hip/health guarantee. They will be introduced to new things and new environments to insure that we do not have shy or submissive puppies. We are committed to giving them the best start we can and we want to make sure that the families that adopt our puppies will continue to provide them with the care and training that they need. © 2018 Hennehaus Shepherds. All Rights Reserved.